All you Silmarillion readers out there will recognize Morgoth, perhaps the biggest bad from Tolkien’s work, who features prominently in this posthumous release. Here, the character formerly known as Melkor will battle Ulmo, king of the sea and one of the Ainur. Morgoth wants to lay siege to the hidden city of Gondolin, which has seen its share of sackings. The city becomes another battlefield in a long struggle between Morgoth and the Noldor; what started with infiltration escalated to war due to Melkor/Morgoth’s jealousy and just general evilness. On the side of the Noldor, we have Tuor, who sets out to find Gondolin on his own. As the father of Eärendel, Tuor’s arc has far-reaching effects on Tolkien’s oeuvre. 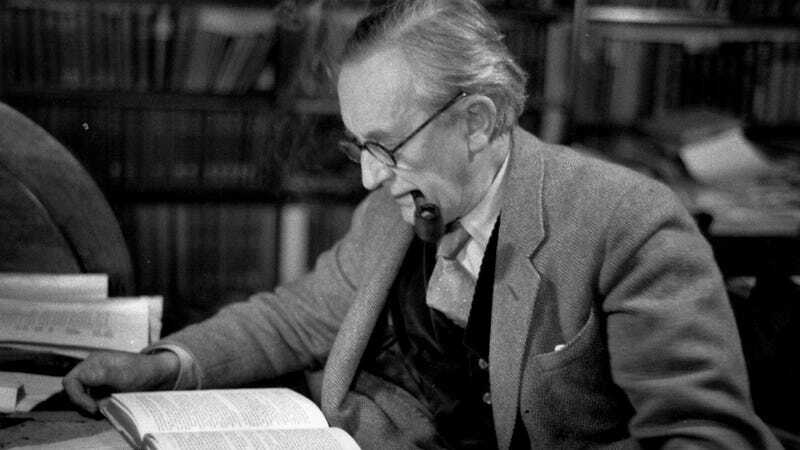 According to Tolkien’s biographer, John Garth, the creator of Middle-Earth began writing this story when he was recovering from the Battle Of Somme; Garth calls The Fall Of Gondolin “a template for everything Tolkien wrote afterwards.” In addition to introducing a seemingly all-powerful enemy, Tolkien’s work also has “our first encounter with orcs and balrogs.” “It’s really Tolkien limbering up for what he would be doing later,” Garth tells The Guardian. The book is edited by Tolkien’s son, Christopher Tolkien, and illustrated by Alan Lee, who provided the artwork for the centenary release of Lord Of The Rings, among other related works. The Fall Of Gondolin follows the posthumous release of Beren And Lúthien, the 100-year old romance novel published last year, as well as 2015's The Story Of Kullervo.